Update: There have been some continuing issues but they should not be evident to you. I am receiving your comments and requests for help, but I have to use a work around to reply. I’ll send them to your email from my personal email. 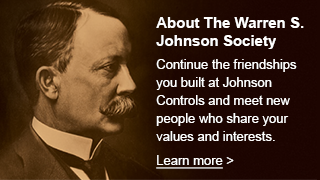 Everything else at the WSJSociety.com seems to be working again … enjoy the site! Wow, that was quick … within the hour Javier got the login issue resolved. There’s still a problem with Help & Join the Discussion so, enjoy the site I’ll post an update when everything is up and running again. If you need Help, contact me directly at jra4128@gmail.com. WSJSociety.com is experiencing some update problems! Apparently WordPress attempted an automatic update while there was a problem with the server database link … Or so that’s what the messages seem to indicate. As a result, a number of the services just don’t work, even Help is out of service! Also, logging in has given me some problems, so you are likely experiencing the same. I’ve called for help to McDill our service provider. If you have an immediate request, you can email me directly at jra4128@gmail.com. Please bear with us until we get it resolved.